San Francisco is one of those cities that stays with you. A buzzing hub of technology and liberal optimism, the City by the Bay may be compact (less than 50 square miles to be exact), but that’s only because everyone wants to be there. Drawn like moths to a flame, thousands of visitors are enticed to visit this destination each year, to take in the innovative cuisine, breathtaking waterfront, and the dynamic cultural and countless outdoor opportunities. It’s not hard coming up with reasons to visit — it’s hard coming up with reasons to leave. From burritos in the Mission to Ghirardelli chocolate and crusty sourdough bread, there are plenty of signature dishes in San Francisco. However, seafood reigns supreme. 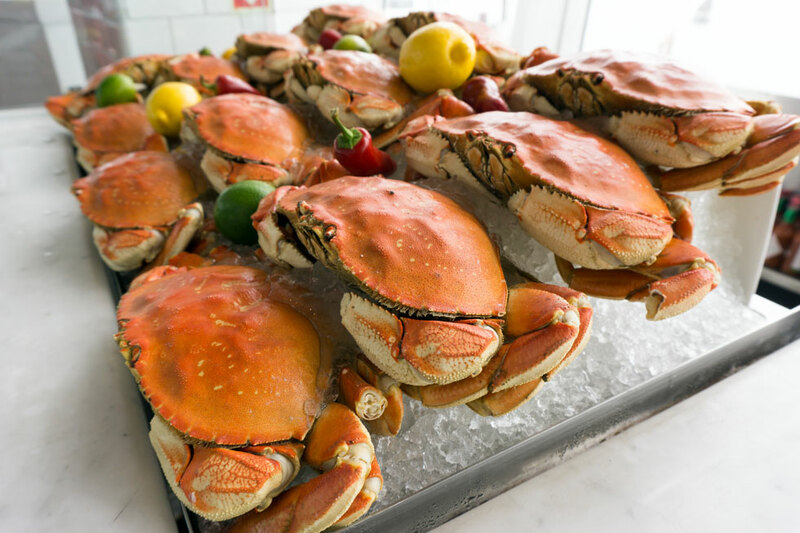 Dishes like abalone, Dungeness crab, bay shrimp and clam chowder are celebrated local and seasonal flavors. One of the best places to try some of these delicacies? 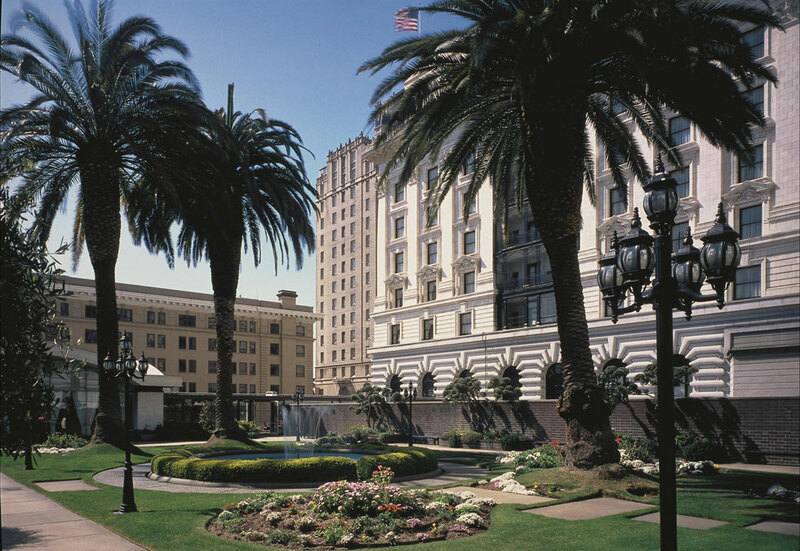 The elegant Laurel Court Restaurant in Fairmont San Francisco. Don’t miss the opportunity to wash it all down with a freshly-brewed honey beer, featuring the rooftop honey harvested on property. Windy roads typically aren’t a tourist attraction, but Lombard Street is an exception to the rule. 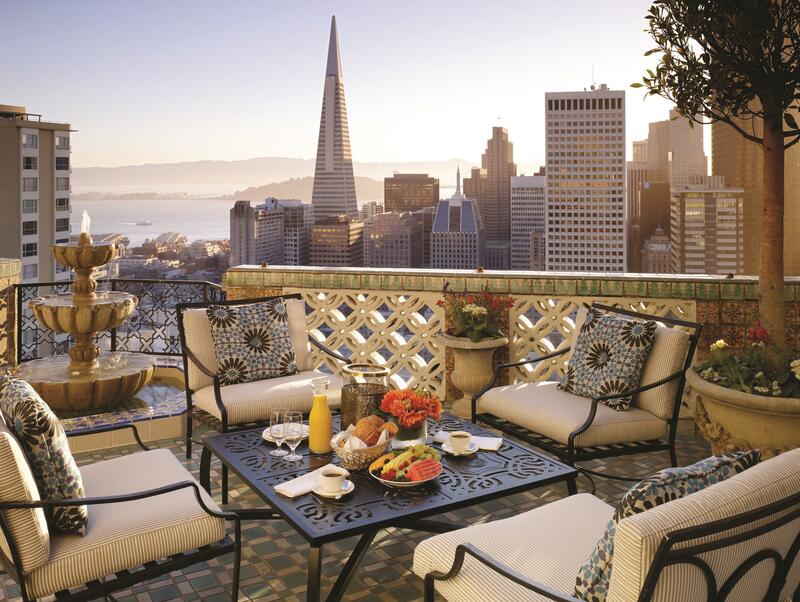 The unique jaunt on Russian Hill features eight hairpin turns in a one-block radius of fragrant gardens and beautiful views of the Bay, Alcatraz, and Coit Tower. 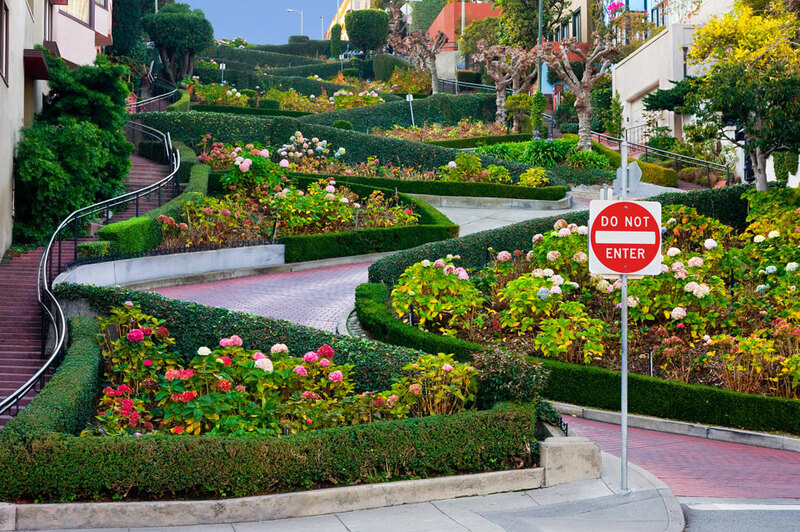 If Lombard Street is any indication, driving in San Francisco is not for the faint of heart. 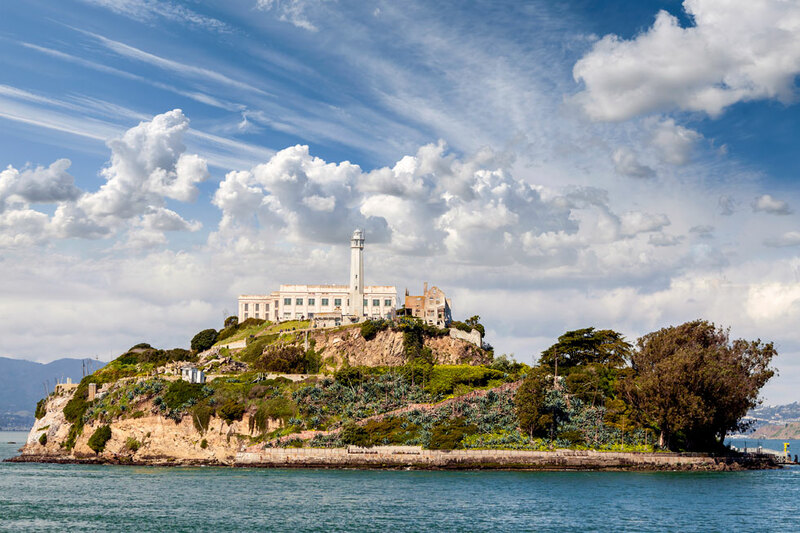 Alcatraz Island is another odd attraction, yet tourists are drawn to “The Rock” in droves. The infamous federal penitentiary is now managed by the US National Park Service and fully operational for tours. It’s not all doom and gloom here though. If you take a ferry across the Bay, you’ll be privy to the oldest operating lighthouse on the West Coast, military fortifications, and natural wonders such as rock pools and a seabird colony. 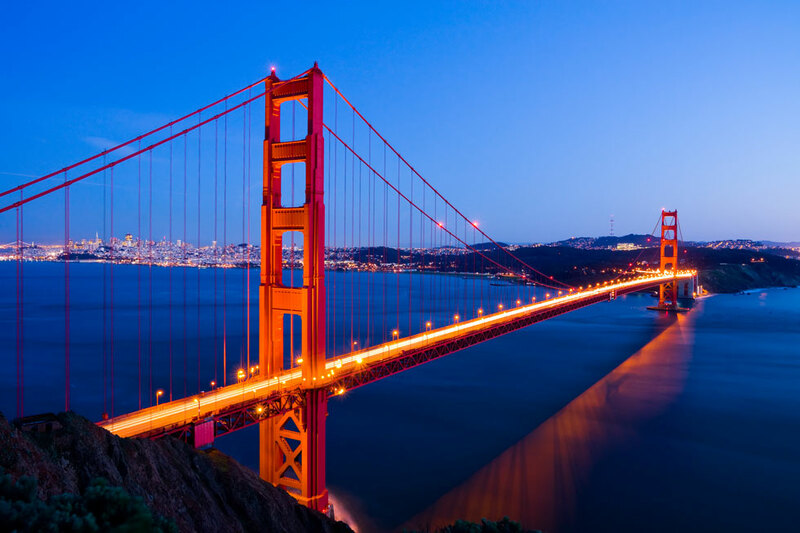 Declared one of the Wonders of the Modern World by the American Society of Civil Engineers, the Golden Gate Bridge is one of the most celebrated constructions of the 20th century and one of the most recognizable structures on the planet. Its red channels span nearly three miles across the Pacific Ocean, making it visible from nearly every part of the city. The best part? It’s almost impossible to take a bad picture of it. What feels like a green reprieve in the heart of the hubbub, the rooftop garden at the Fairmont is downright magical (and voted one of the best in the city). A fountain masks the noise from the street below, while palm trees block out any unwanted distractions in the distance. It’s the perfect urban oasis to melt your cares away with a cocktail or coffee in hand. The 45-acre waterfront complex of Pier 39 is the heart and soul of San Francisco. 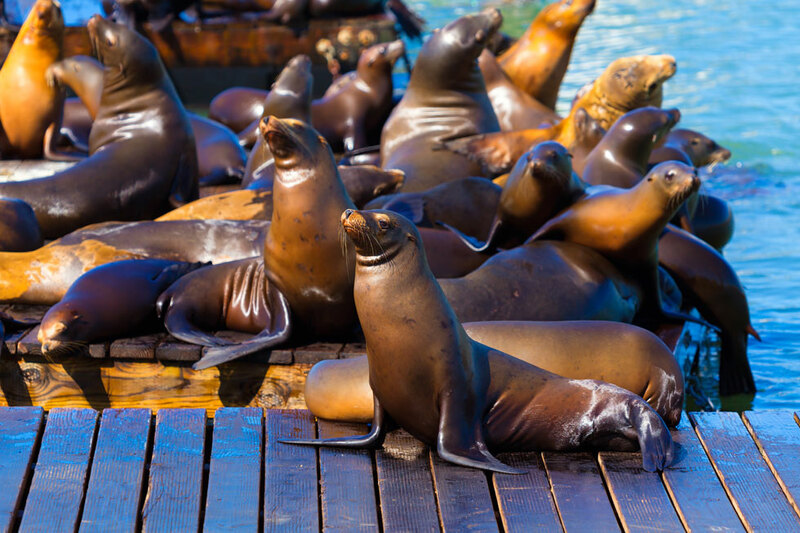 Home to 14 restaurants, more than 90 shops, a few amusement park rides, dozens of street performers, a marina and park, it’s the perfect spot to peruse between Fisherman’s Wharf and The Embarcadero. Whether you ride the carousel, shop for souvenirs, or simply choose to eat your way around the pier, it will undoubtedly be a highlight of your visit. The equivalent of a double-decker bus tour anywhere else, a cable car ride is quintessentially San Francisco. They are the only form of public transportation ever to be deemed a historic monument. Originally introduced to the city in 1873 to help locals maneuver around the nearly impassible hills, today's locals prefer ride shares or BART, leaving plenty of room for curious onlookers. 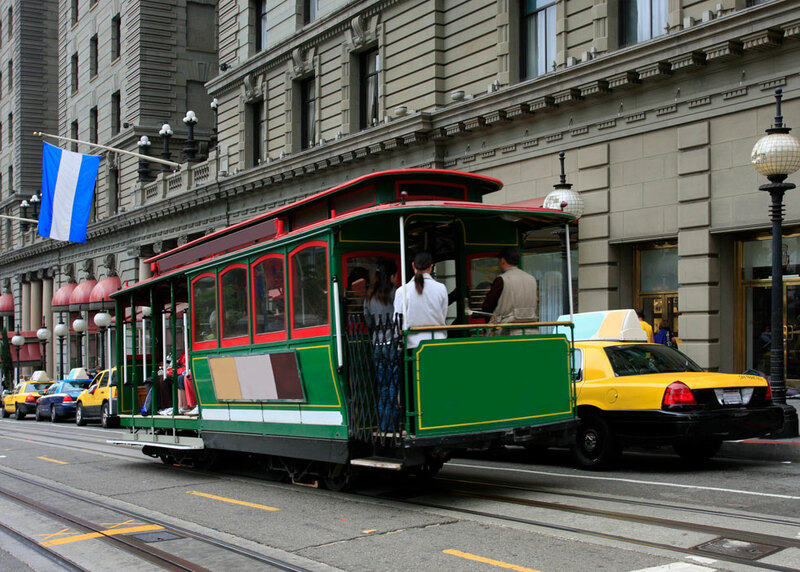 Conveniently, the Fairmont is the only spot in all of San Francisco where each of the lines meet, so hop aboard the Powell/Mason or Powell/Hyde lines for the best scenic views. Almost every city has a Chinatown, but only in San Francisco does it actually feel like you’ve been transported to China. 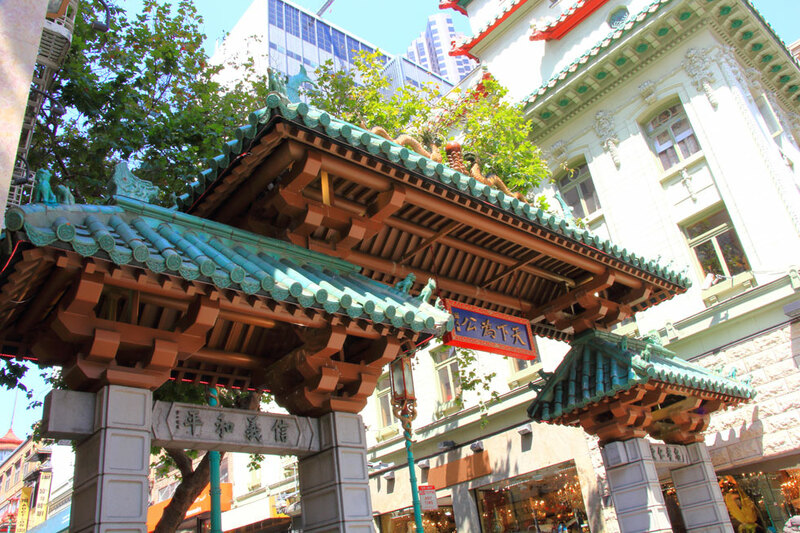 The largest and oldest Chinatown outside of Asia, the area encompasses 24 blocks of mouthwatering cuisine, culture, and chaos. It might take some time to fully explore, so mentally prepare for sensory overload. Don’t miss a tour of the Golden Gate Fortune Cookie Factory – it’s fascinating. While sunny California is certainly one stereotype, San Francisco marches to the beat of its own drum. Known for consistently mild year-round temperatures, the only other persistent weather element is the fog. So consistent in fact, it’s been given a name. Karl even has his own social media profiles. While you may think this would cast a dreary, overcast cloud upon the city, it just gives it a unique, quirky character. 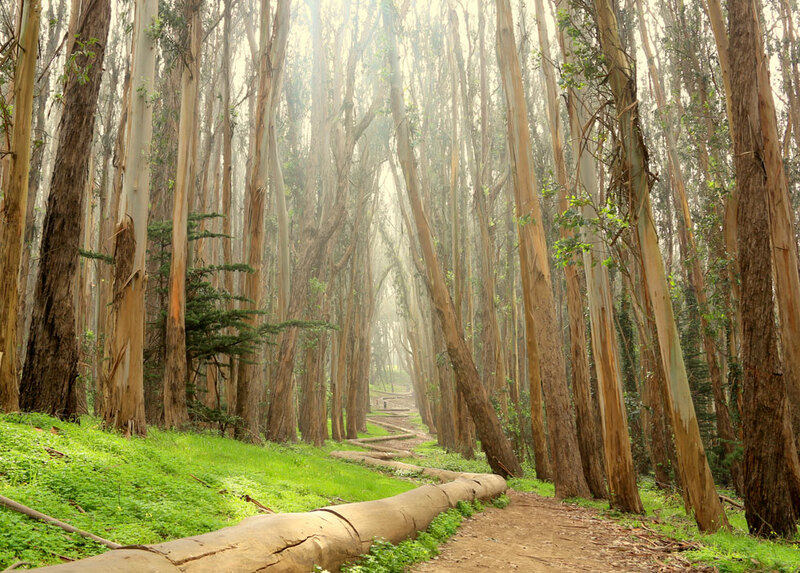 Despite its urban exterior, there are plenty of green spaces interspersed in and around San Francisco. One of our favorites is The Presidio, which was the site of one of the first European settlements in the western United States. Besides history, the area is full of surprising elements like Lover’s Lane and outdoor art installations like the incredible “Wood Line” by Andy Goldsworthy. The sculpture was created entirely from natural elements that will eventually decompose and return to the earth – cool, huh?